Knife amnesty bins are to be placed at Carlton Fire Station, Oxclose Lane Police Station and the council’s Civic Centre as part of the county’s response to knife crime. 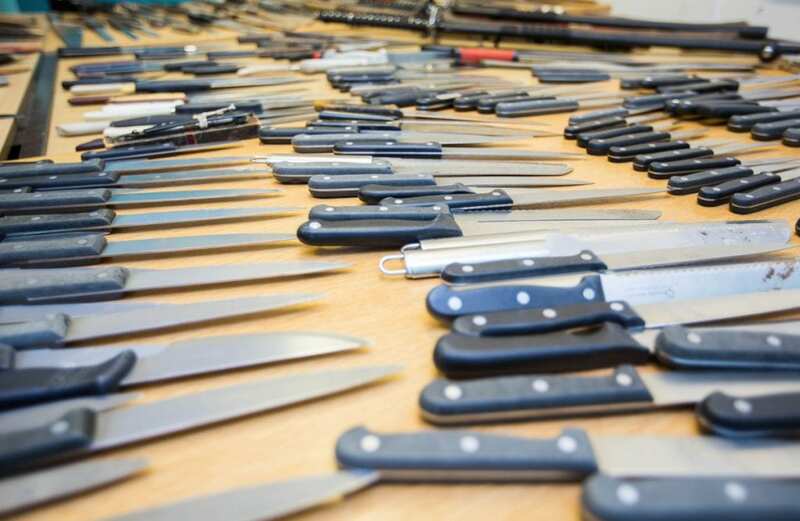 The seven-day knife amnesty has been organised by Nottinghamshire Police and is part of the national knife crime campaign Operation Sceptre. The amnesty starts on Monday, September 17 and runs until midnight on Sunday, September 23. Members of the public can hand over their unwanted knives without fear of prosecution for doing so, for the duration of the operation. This is the first knife amnesty to be held in county since 2013 – when 278 knives were handed in. Police forces across the country are taking part in the amnesty, with the aim of preventing knives falling into the hands of criminals. Assistant Chief Constable Kate Meynell said: “Knives have no place on the streets of Nottinghamshire and we work tirelessly alongside partner agencies to catch offenders and prevent people becoming involved in knife crime in the first place. “Nottinghamshire Police has the only dedicated Knife Crime Team outside of the Metropolitan Police and has reintroduced Schools and Early Intervention Officers who visit schools across Nottinghamshire to talk to young people about issues including knife crime. We also use positive, targeted response activity and carry out thorough investigations. ACC Meynell added that the amnesty bins are at various locations around the county, meaning people should all have one within easy access. “We want the process of handing them in to be as simple as possible so there will be no paperwork to fill in. People can simply drop them in the bins and leave, and we will collect them all up at the end of the week and destroy them,” she added. Chief Inspector Donna Lawton, knife crime lead for Nottinghamshire Police, said: “Our partners at Nottinghamshire Fire and Rescue Service, Ashfield District Council, Bassetlaw District Council (Retford and Worksop), Broxtowe Borough Council, Gedling Borough Council, Nottingham City Council and Rushcliffe Borough Council are each supporting the operation by hosting bins at shared sites. People are asked to check the opening times at their local amnesty points across the borough before they visit.